It is beautiful. Love those fabrics. Have you seen the blog hop using those fabrics? 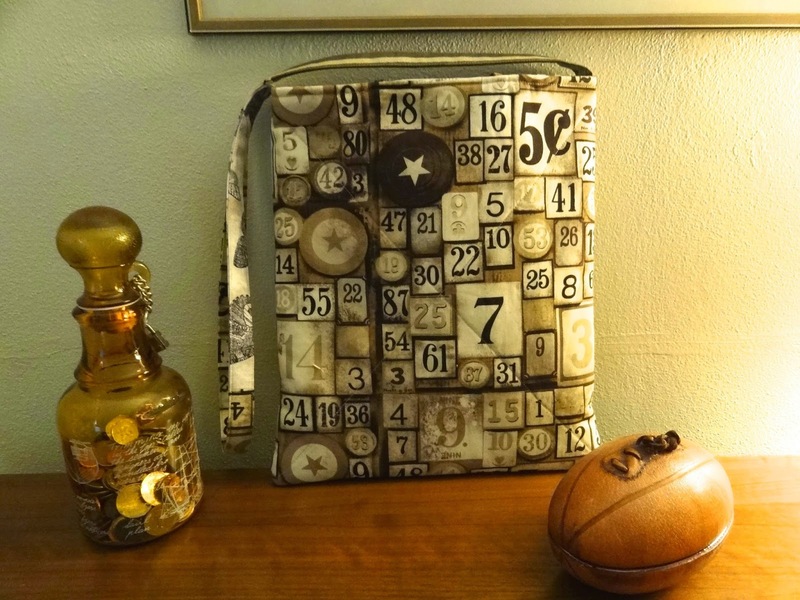 Gorgeous bag with such a great selection of prints! How fun to use fat quarters from the stash! I just saw Stephanie's version, they are so pretty! LOVE this version of AJ. 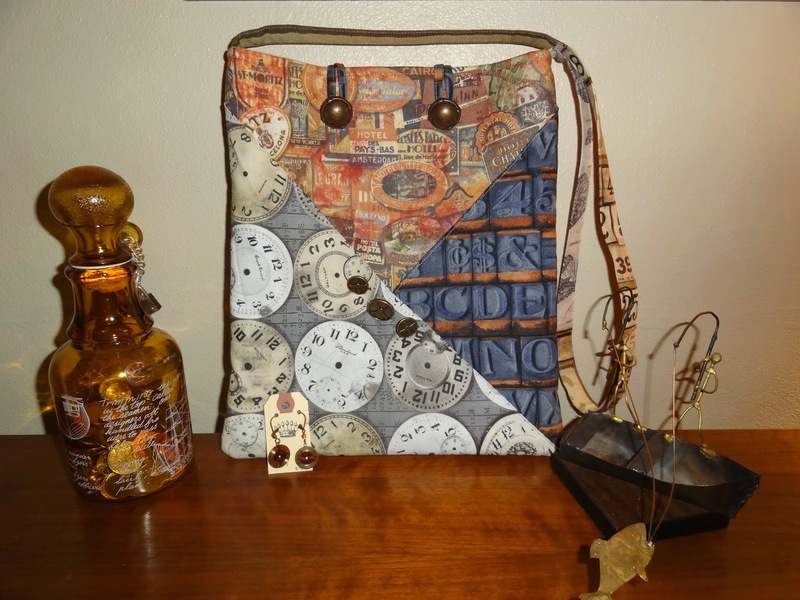 It's inspired me to want to make a Steampunk-ish bag myself. Thanks so much! I have bag making on my list...these are fabulous! Such a cute bag! And the fabrics are just perfect for it. Nice! I spotted the bag in the new connecting threads magazine first. Somehow I knew it was her design. Love your fabric choices.